The second annual Berkeley Spark festival brings life on the playa to the city and celebrates the rise of tech in the East Bay. The view from Civic Center Park. If you ask someone who has been to Burning Man to explain it, they'll often say that you can't fully understand the magnificence of the experience until you go. But for those who aren't up for the trek (or the dust), there's now a way to grasp the event without leaving the safety of the Berkeley bubble: Berkeley Spark. The idea for Berkeley Spark came about partly through the organizing efforts of Downtown Berkeley Association CEO John Caner, who hadn't attended Burning Man until last year. In October 2012, Caner was walking past Revival Bar + Kitchen after Berkeley's Sunday Streets festival when owner — and burner — Amy Murray asked him to meet some fellow burners who were discussing how to bring Burning Man art downtown. 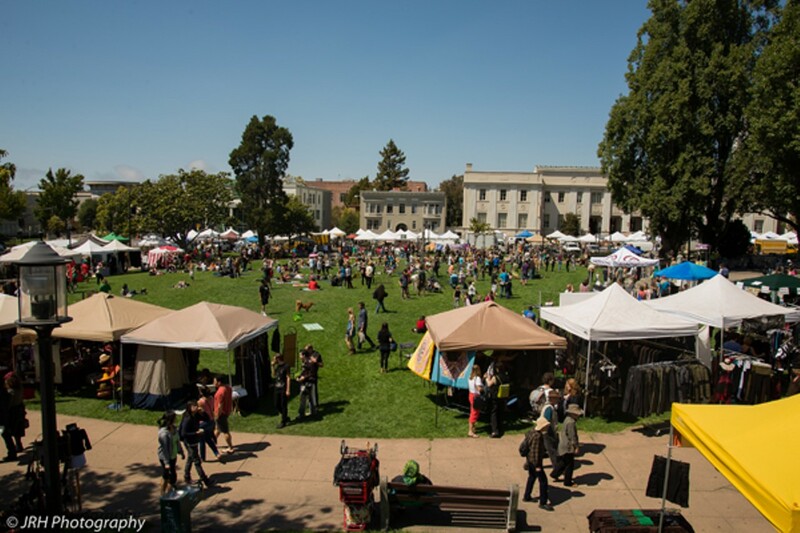 Eventually, the group realized that instead of merely bringing the art of Burning Man to Berkeley, they could go a step further and create a community-building event in the spirit of the festival. Kat Parkin, who has been attending Burning Man for six years, had recently moved back to the East Bay after 25 years away and decided to take the lead on organizing the event as a way to re-immerse herself in her surroundings. "I've been gone a long time, and what better way to get to know my community than by throwing a party?" she said. Described as a "community-driven art, innovation, science, and technology festival," the second annual Berkeley Spark will happen in Civic Center Park (Martin Luther King Jr. Way between Center Street and Allston Way) this Saturday. It will feature a market with items that those going to Burning Man may need on the playa, interactive art sculptures, Burning Man theme camps, workshops, food, a beer and wine garden, and a hip-hop open mic, a musical performance by Laura Inserra from the multidisciplinary performing art and music organization Samavesha. While the festival does offer resources for those preparing for a trip to the playa in August, organizers emphasized that the event is intended for the whole community. "It's really a fun festival that isn't just about Burning Man," said Caner. "It's about igniting creativity." 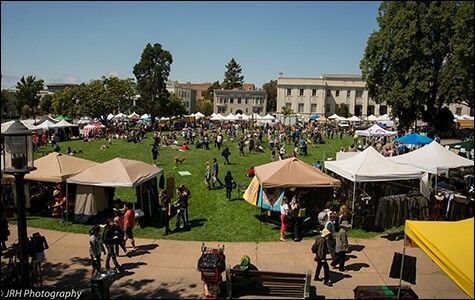 The organizers also hope that the event draws more people to the downtown Berkeley area and highlights its cultural and commercial revitalization. To that end, the City of Berkeley sponsored the event last year and is doing so again this year. "We're the first city to put money into a Burning-Man-related project," said Michael Caplan, Berkeley's economic development manager. Caplan's hope is that the tech innovation corridor — a new feature of the festival where attendees can meet with local designers, hackers, and innovators — will help generate enthusiasm for Berkeley's emerging start-up and maker scene. "Bringing several thousand people who are interested in Burning Man to come and experience downtown — that's a good thing," he said. Saturday, July 19. 11 a.m.-9 p.m., free.